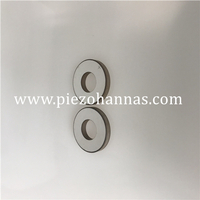 1, the cleaning effect of piezoelectric ultrasonic cleaning transducer is good, the cleanliness is high and the cleanliness of all the workpieces is consistent. 2, the cleaning speed is fast, the production efficiency is improved, and the cleaning liquid is not required to be touched by human hands, which is safe and reliable. 3. 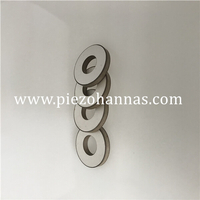 The deep holes, slits and hidden parts of the workpiece can also be cleaned. 4, There is no damage to the surface of the workpiece, saving solvent, heat, work space and labor in the high power ultrasonic cleaning transducer. 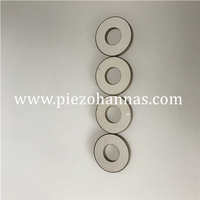 Ultrasonic cleaning transducer methods are more common than conventional cleaning methods, especially the surface of the workpiece is complex, such as some surface irregularities, mechanical parts with blind holes, some products that are particularly small and have high requirements for cleanliness such as watches and clocks. Precision mechanical parts, electronic components and circuit board components can achieve very good results by ultrasonic cleaning. 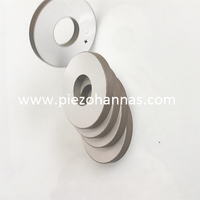 The mechanism of ultrasonic cleaning mainly has the following aspects: a strong shock wave is generated when the cavitation bubble of piezoceramic ring transducer is broken, and a part of the fouling layer is peeled off, dispersed, emulsified, and peeled off under the action of the shock wave. Because of the bubbles generated by the cavitation phenomenon, the gap between the dirt layer formed by the impact and the surface layer and the gap penetrates, because the small bubble and the sound pressure expand and contract simultaneously, the shrinkage, the physical force like peeling repeatedly acts on the dirt layer, the dirt The layers are peeled off and the bubbles continue to penetrate inward until the dirt layer is completely stripped. This is the secondary effect of cavitation. The impact of ultrasonic vibration of cleaning fluid on dirt in ultrasonic cleaning. 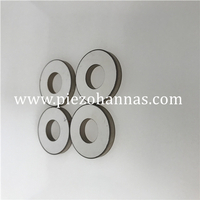 Ultrasonic accelerated chemical cleaning agent dissolves the dirt,piezoceramic ring for ultrasonic bonding combines chemical and physical forces, and accelerates the cleaning process.